Acne. All of us know about it, and many of us experience it. In fact, acne, also called acne vulgaris, is the most common skin condition in the United States. Around 40 to 50 million Americans have acne. The majority of those people are teens or young adults, but acne can occur at any age (even newborns or menopausal women). The good news is that acne is treatable. Medical advances have come a long way, introducing new acne treatments and using existing treatments differently to produce the best results. Many people think that acne just means having “pimples.” Technically, acne includes blackheads, whiteheads, papules (red bumps), cysts, and nodules. Acne can appear on many different parts of the body, including the face, back, neck, chest, shoulders, and upper arms. Acne first starts as a clogged pore. This clogged pore begins with dead skin cells. It’s normal for skin to shed dry skin on a daily basis. Normal skin also produces sebum, which is an important oil that keeps skin from drying out. Sebum production can increase during certain phases of our life, like puberty. Excess oil can cause dead skin cells to stick together inside of the pore and become trapped. Every person has a certain type of bacteria on their skin—called P. acnes. The bacteria can multiply very quickly inside of pores, especially if they contain a lot of oil. When hormones change during puberty, oil production increases in the skin. Pores will become inflamed (red and swollen) from the combination of bacteria and oil, and it can sometimes damage the lining of the pore, causing the inflammation to go deep into the skin. There are many! If you have severe acne, consisting of deep and painful lumps called cysts and nodules, effective acne treatment may prevent acne scars. Clearing acne can improve your self-esteem, and make you feel happier and more confident. “Overnight results” or a “miracle cure” are not possible. 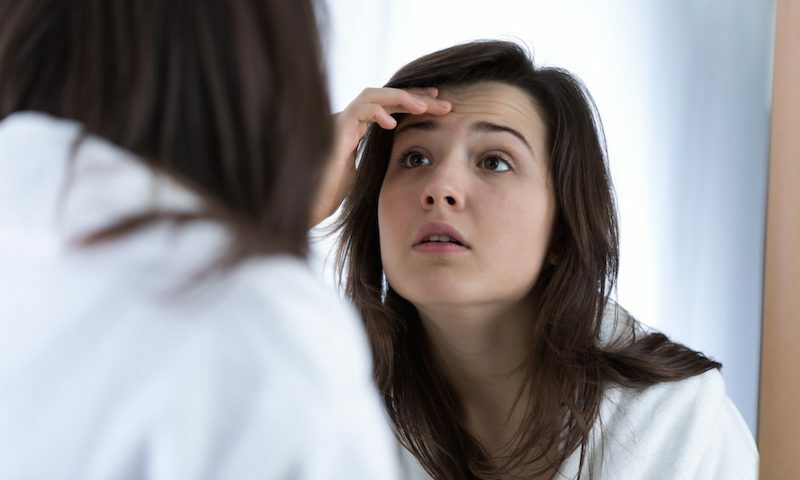 Treatment may help existing acne clear up faster, but it works best to prevent future breakouts. You must continue treating acne, even after your skin has cleared up. When red acne bumps disappear, they often leave red or brown flat marks which will gradually go away after a few months. They aren’t scars, necessarily. To get your acne under control, you may need to use more than one acne treatment. This approach is called combination therapy and can produce the best results. Read our next blog for more information on treatment!